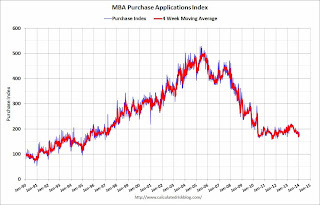 The average contract interest rate for 30-year fixed-rate mortgages with conforming loan balances ($417,000 or less) decreased to 4.57 percent, the lowest level since November 2013, from 4.66 percent, with points increasing to 0.36 from 0.33 (including the origination fee) for 80 percent loan-to-value ratio (LTV) loans. 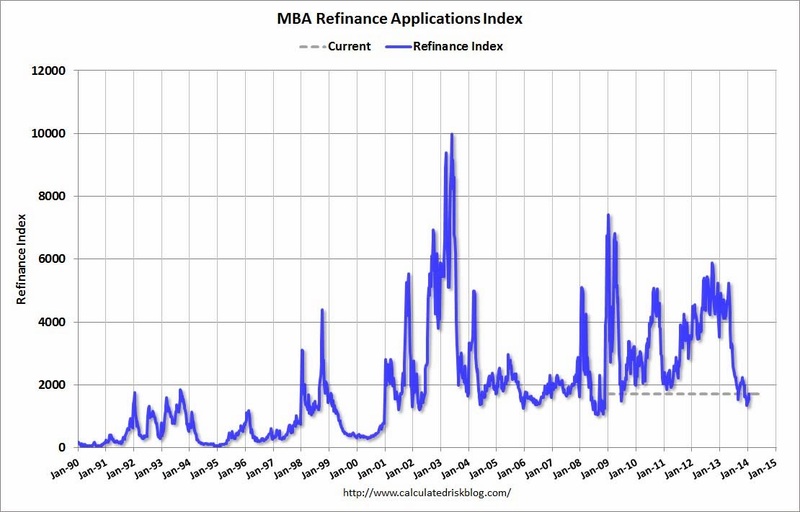 The refinance index is up a little over the last two week, but down 67% from the levels in early May. 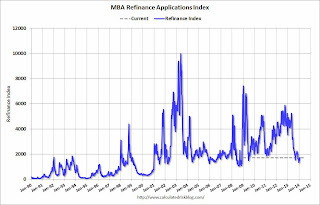 With the mortgage rate increases, refinance activity will be significantly lower in 2014 than in 2013. 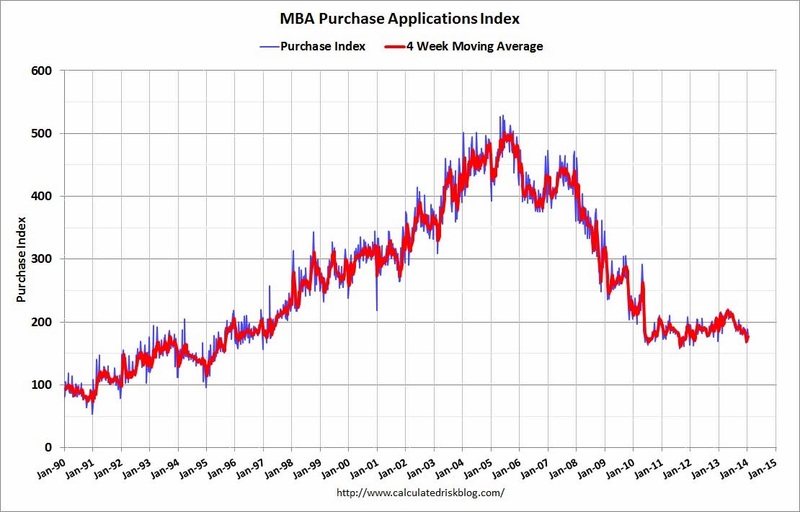 The 4-week average of the purchase index is now down about 9% from a year ago.